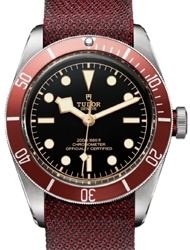 Established in 1946, Tudor is a subsidiary of the Rolex Watch Company, with the brand serving to provide timepieces with the dependability and reliability of a Rolex, at a more affordable price. 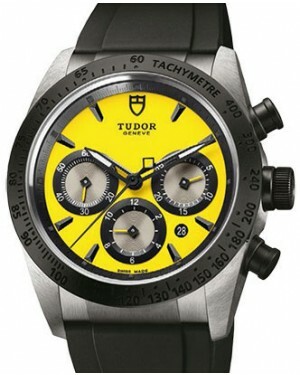 Historically, Tudor watches were equipped with off-the-shelf movements, allowing for faster production times. However, since 2015, the brand has started to produce timepieces with its own in-house movements.Today, some of the brand's best-known models include the Tudor Pelagos and Tudor Heritage Black Bay, both of which are divers' watches launched in 2012. The Tudor Advisor, has a history dating back to 1957 and remains the only timepiece in the entire Rolex family to feature an alarm function. 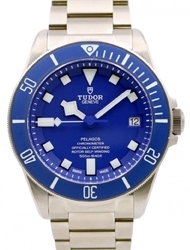 The Tudor Pelagos is a divers' watch, which is perhaps best described an homage to the Rolex Submariner, albeit with a more affordable entry price. Visually, the Pelagos is primarily defined by its round case shape, with a uni-directional rotatable bezel, while the watch also features the brand's distinctive 'snowflake' hour hand, offering excellent legibility. All of the timepieces in this collection guarantee water resistance at depths of up to 500 metres and each model is fitted with a helium escape valve, protecting it from overpressure. Watches in the Pelagos collection are also equipped with a highly accurate self-winding mechanical movement, manufactured in-house. The ultimate aim of the Tudor brand is to provide customers with the reliability and high performance standards of a Rolex timepiece, but at a more affordable price, and this dependability means your Pelagos will serve you well for many years. 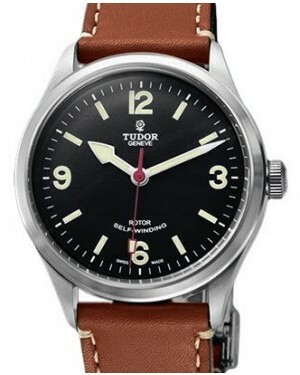 Taking inspiration from classic designs from the 1950s, '60s and '70s, the Tudor Style collection is an impressive line of dress watches for both men and women. However, despite their dressy nature, the timepieces also have more casual elements, which gives them near universal appeal and allows them to blend into any environment. All watches in the Style line feature a date display window at the 3 o'clock position, while some of the most expensive models have an 18 ct gold double bezel and a diamond-set dial. Four case sizes are available, ranging from 28mm to 41mm, and there is a choice of either a stainless steel bracelet or a leather strap. 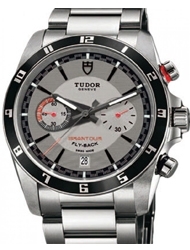 Whether you are looking for a highly-sophisticated timepiece, or something casual enough to wear everyday, the Tudor Style collection has you covered. 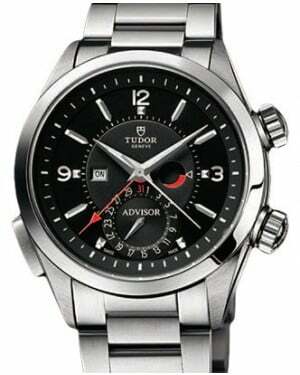 he Tudor Glamour collection includes a range of exquisite, elegant watches, which are ideal for just about any occasion. 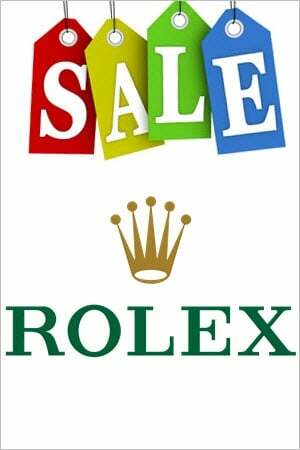 Embodying the manufacturer's retro-chic aesthetic, the watches are visually striking and instantly recognisable. All models feature date display at the 3 o'clock position, with the Date+Day models providing a separate display for the day of the week at the 12 o'clock position. 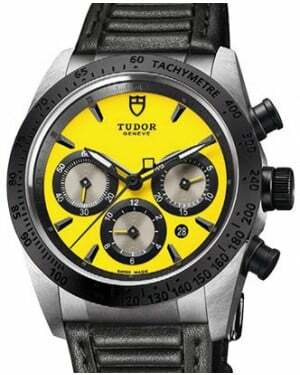 The watches use a TUDOR calibre 2834 self-winding mechanical movement and are water resistant for up to 100m. 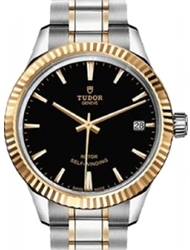 Finally, one of the defining aspects of the Tudor Glamour is its double bezel, which is made from either steel, or a combination of steel and 18 ct yellow gold. 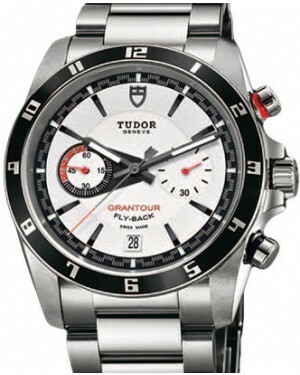 With its distinctive appearance and expert engineering, your Tudor Glamour is sure to attract envious glances. Drawing upon the shape and proportions of the Oysterdate Chronograph, released in the early 1970s, the Tudor Heritage Chrono is an updated interpretation, which fits perfectly into the manufacturer's current line-up. 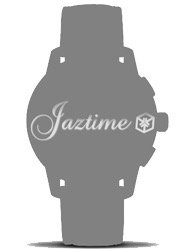 The case measures 42mm in diameter and is constructed from polished steel, as is the bidirectional rotatable bezel, which has 12-hour markings, allowing for two time zones to be monitored at once. 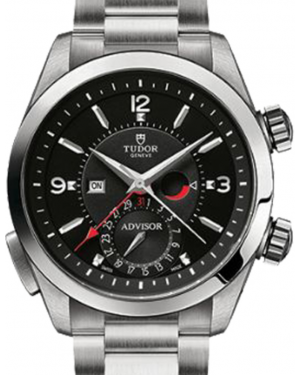 Moreover, the watch benefits from an advanced self-winding movement - the Tudor calibre 2892 - and other features include a date display window, a small seconds sub-dial and a 45-minute totaliser. 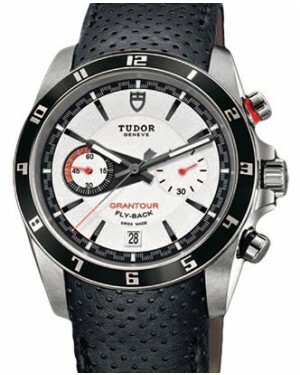 With its wide range of features and its classic '70s styling, your Tudor Heritage Chrono is a functional timepiece, which looks the part as well. 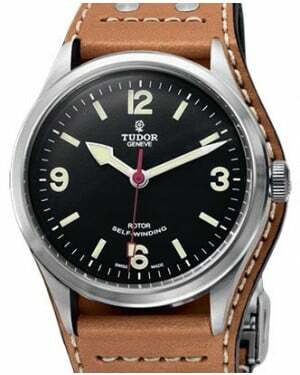 Considered to be a modern interpretation of the manufacturer's classic 1957 alarm watch, the Tudor Heritage Advisor retains the spirit of the original model, but brings it into the 21st century through the implementation of modern technology. From an aesthetic perspective, the watch is characterised by its steel case, round case shape and date dial at the 6 o'clock position. 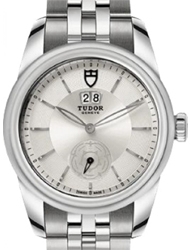 It also has two winding crowns, for controlling the time and alarm functions, and is powered by the TUDOR calibre 2892 movement, which has an additional mechanism for the alarm clock. 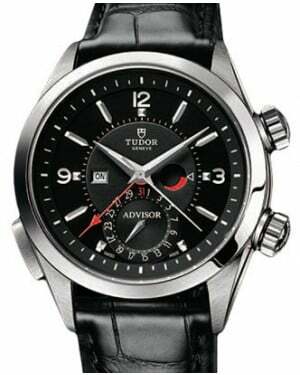 The Tudor Heritage Advisor pays perfect tribute to one of the manufacturer's most iconic watches and is sure to draw plenty of attention from those around you. With a design that has been directly inspired by the Ducati Scrambler motorcycle, the Tudor Fastrider Chrono is a distinctly sporty watch, which offers a large range of functions for the more technically-minded wearer. The timepiece has a steel case, measuring 42mm in diameter, and has a fixed ceramic bezel, complete with an engraved tachymetric scale. 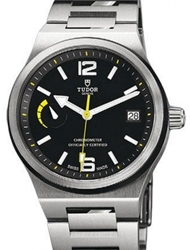 Meanwhile, the dial features a small seconds hand, a date display window and both 30-minute and 12-hour totalisers. 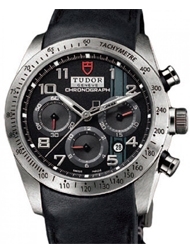 In addition, each Fastrider Chrono is powered by an in-house TUDOR calibre 7753 self-winding mechanical movement and offers water resistance for up to 150m. Thanks to its robust construction, scratch-resistant bezel and precise in-house movement, your Fastrider Chrono is sure to serve you well for many years. Stemming from the relationship between Tudor and Ducati, the Fastrider Black Shield is a robust, ultra scratch-resistant timepiece, making it ideal for motorcyclists travelling at speed. The watch breaks from Fastrider tradition, as the case is constructed from high-tech ceramic rather than steel, while it is aesthetically defined by its round case, dark features, screw-down crown and direct-action pushers. Wearers have the choice of either a leather or rubber strap, while the Fastrider Black Shield utilises an in-house self-winding movement, with a 46-hour power reserve. 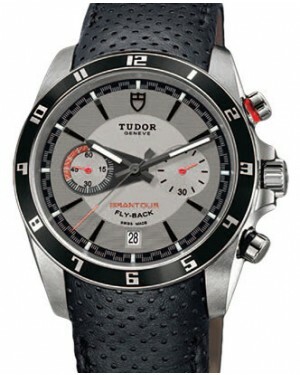 Whether you are travelling at high speed on the back of a motorbike, or are 150m underwater, the Tudor Fastrider Black Shield is a highly reliable timepiece, capable of facing up to any situation. Unmistakably sporty and placing a strong focus on reliability, the Tudor Fastrider Chronograph takes its inspiration from the world of motorcycle racing. Visually, the timepieces are defined by their round case shape and prominent pusher buttons, along with their busy dial faces. These faces include a small seconds hand sub-dial, a 12-hour sub-dial, a 30-minute sub-dial and a date display window between the 4 and 5 o'clock positions. 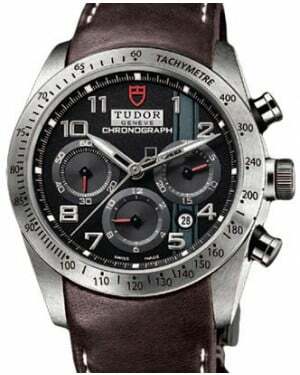 Moreover, the Fastrider Chronograph utilises a TUDOR calibre 7753 self-winding movement, is water-proof to 150 metres and has a fixed bezel with a tachymetric scale. With its robust design, in-house mechanical movement, 46-hour power reserve and instantaneous date corrector, your Tudor Fastrider Chronograph is ultra-reliable. 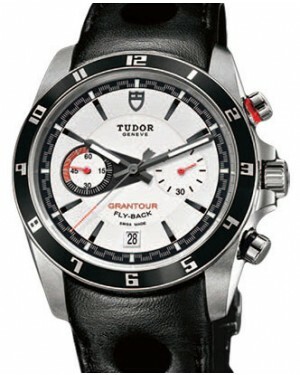 The Tudor Grantour collection is a range of sporty yet technical timepieces, which is especially notable for its historic association with motor sports. Aesthetically, the steel watches are primarily defined by their round case shape, 42mm diameter, streamlined lugs and bistable lockable chronograph pushers. 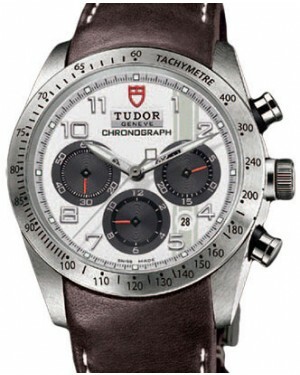 Meanwhile, the timepieces are powered by a self-winding TUDOR calibre 2892 movement and have small seconds and 60-minute sub-dials, as well as a date display window. Moreover, wearers have the option of either a sophisticated steel bracelet, or a more sporty leather strap, while black, white or silver dial colours are available. Unmistakably feminine and visually distinctive, the Tudor Clair de Rose is a stunning ladies' timepiece, which oozes sophistication and class. Aesthetically, the watch is instantly identifiable by its Tudor rose central seconds indicator and Tudor rose winding crown. All of the timepieces also have a date display window at the 3 o'clock position and the mother of pearl dial is available in a number of different colours, including blue, white, or pink for an ultra-feminine appearance. The Clair de Rose is available in three case sizes, with the 34mm model using an in-house calibre 2824 self-winding movement, while the 30mm and 26mm models are powered by the calibre 2671 movement. With its unique appearance, polished stainless steel casing and water resistance of up to 100m, your Tudor Clair de Rose is a reliable, dependable and attractive timepiece. 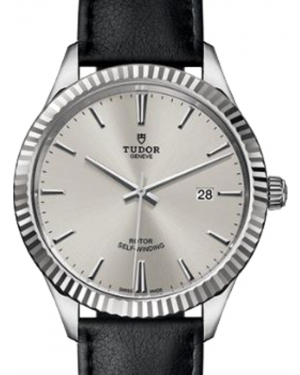 An expression of understated elegance, the Tudor Classic line is a range of stylish timepieces for both men and women, which will fit in at virtually any occasion. Aesthetically, the watches in this collection are identifiable by their round case shapes, stainless steel casing and fluted bezels, and the case sizes range from 28mm to 41mm in diameter. Features include date and day display windows, a 38-hour power reserve and 100m water resistance, while buyers have the choice of a number of different dial colours. Moreover, the most extravagant models in the collection have 18 ct yellow gold elements and are decorated with diamonds. 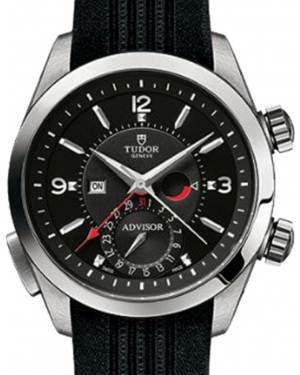 If you are looking for a stunning timepiece, which can simultaneously turn heads and fit in at any occasion, it is difficult to go wrong with the Tudor Classic.